Excellent, economical and careful mowing with top quality machinery and professional operators. 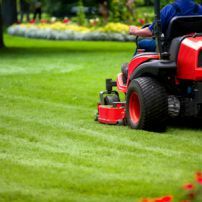 We specialise in ride-on mowing and maintenance. We are committed to high quality work and safe working practices. We can tailor make packages to suit your requirements. 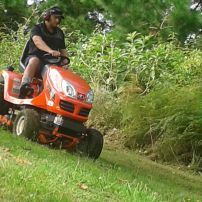 MAINTENANCE: Hedge & Tree Trimming, Landscaping, Retaining Walls, Weed Spraying, Rubbish Removal, Clean Ups, Gardens etc. commented on "Before and after photos of a very overgrown lawn "
commented on "Before and after photos of mowing long grass "